Copyright is a really complicated topic, and when it comes to online use of creative works, accidentally crossing the line between fair use and a copyright violation is easy. How do you know what is copyrighted? Recently Frederico Morando (Creative Commons, Italy) and I presented a training session on understanding copyright policies at Wikimania 2016, which was originally proposed by Wikipedian User:Jim Carter. We covered topics such as fundamentals of copyright, exclusive rights, Berne convention, copyleft, Creative Commons licenses, Public Domain, fair use, and copyfraud. In this article, I'll look at three copyright tips to keep in mind when you're thinking about using content—even for academic purposes— you find online. 1. Most of what you find on the Internet is copyrighted. Except content that clearly indicates the work is released under a free license, or that the copyright has lapsed and the work is in the Public Domain, you can assume content is not freely/liberally licensed. A few popular free and open licenses include GNU General Public License (GPL), BSD licenses, Apache License, Mozilla Public License, and SIL Open Font License. If a work mentions the license, usually the license is explained or links to terms for using the work. Spending a little time to find out what license the work is under beats spending time and money on a copyright infringement case later. 2. Fair use can be your friend, but not always. Fair use means you might be permitted to make limited use of a copyrighted work without prior permission from the copyright holder. The fair use policy varies from country to country. As explained in the Stanford University Libraries site, commentary/quotes and criticism, and parody are cases that often fall under fair use. Wikipedia article images related to recent music albums, movies, and even people who are deceased are used under fair use policy. Click on a recent movie poster appearing in a Wikipedia article and check the copyright section for an example explanation of why the use on Wikipedia qualifies as fair use. Example Wikipedia explanation for fair use of an image. Fair use also gives some freedom to scholars to use copyrighted work for academic research. To be in a safe side if you are not sure your use falls under "fair use," reach out to the copyright holder and get formal permission before using their work. 3. search.creativecommons.org helps streamline Creative Commons content searches. Where do you go to search for images, illustrations, and other content with Creative Commons licensing? Most images turned up using a search engine are copyrighted and not licensed liberally, for example. 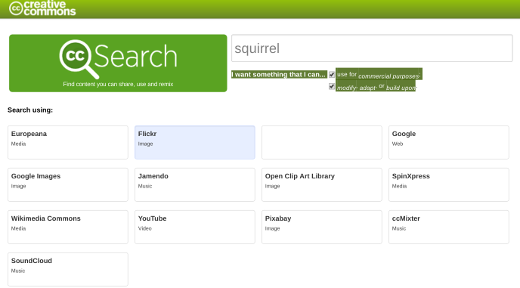 A better way to search is using search.creativecommons.org. You can choose Creative Commons-licensed content from several sites, such as Flickr, Google Images, Wikimedia Commons, and Europeana. You can also specify whether you want to use the content for commercial purposes, or to modify, adapt, and build upon work. The Creative Commons suite includes licenses that implement various policies. Some, like CC BY and CC BY-SA, are normatively consistent with corresponding permissive and copyleft families of free software licenses. Others, however, particularly its “NC” (no commercial use) and “ND” (no derivative works) licenses, are in conflict with basic principles of free software and free culture. I am not alone in lamenting the application of the Creative Commons umbrella brand to cover licenses with such disparate qualities. One consequence has been a general confusing dilution of the meaning of “openness” in the context of cultural works. A more specific problem is the evidence of confusion on the part of content authors interested in applying Creative Commons licenses to their works, and resulting confusion by those interested in making use of such works. Too often a work is labeled as being licensed under “a Creative Commons license”, without specifying accurately, or specifying at all, which free or nonfree policy the author sought to apply. If you still cannot find content—images, for example—with free licenses, but you find copyrighted content that fits your academic need, you can reach out to the content creator or copyright holder for permission. Often copyright holders allow usage of their work for non-commercial purposes, such as academic research and publication. 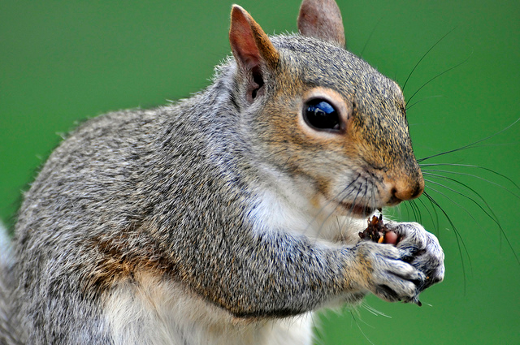 Do you have other sources you recommend for finding Creative Commons or Public Domain content? Let us know about your favorite resources in the comments. Great article and timely too with the school year starting. I recommended search.creativecommons.org to all my students and to those adults including teachers whom I've taught recently. I think you could easily write a whole article on the nuances of Creative Commons licensing too. So glad it was useful, Don. I will surely write an article some time soon on Creative Commons licensing - thanks for that tip. We're in the early testing stage for our website http://commonsSearch.com which makes it fast and easy to find CC or open source images AND attribution AND permission info and insert them in your content. The main benefit of our site is we cut the number of clicks necessary to use images ethically from about 21-25 clicks down to 6-8 clicks. Try it for free. If you're a writer or willing to give us feedback, we're looking for beta testers and will comp you for premium features. Great overview -- but I don't understand why the licenses listed are all software-oriented licenses, when the article is about creative works. Why aren't CC licenses and GFDL listed instead? Small critique of an overall excellent overview, though -- thanks for posting. Thanks for the inputs, Pete. I do see the gaps now and maybe will write a piece to fill them as a sequel to this article. Really appreciate this.